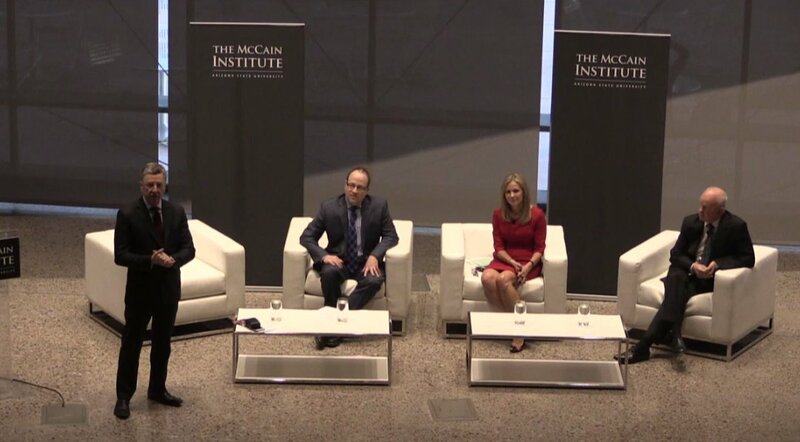 On Wednesday, Feb. 15, 2017, Basilinna CEO Deborah Lehr participated in a debate at the McCain Institute for International Leadership at Arizona State University. Energy Expert Gary Dirks, Director, Julie Ann Wrigley Global Institute of Sustainability at ASU and Dan Blumenthal, Director of Asian Studies, American Enterprise Institute also spoke. And the debate was moderated by Ambassador Kurt Volker, Executive Director of the McCain Institute for International Leadership.